Research treat recipes that have a holiday flare, like dog-friendly gingerbread cookies and sweet potato with salmon treats for your cat. 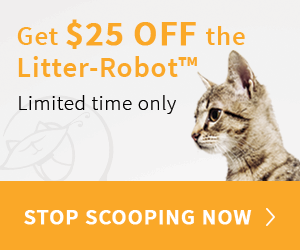 Don’t forget to make extra and share with your dog’s and cat’s friends too! Select a deserving local animal shelter and make a donation in your pet’s name to help homeless dogs and cats in your community this holiday season. 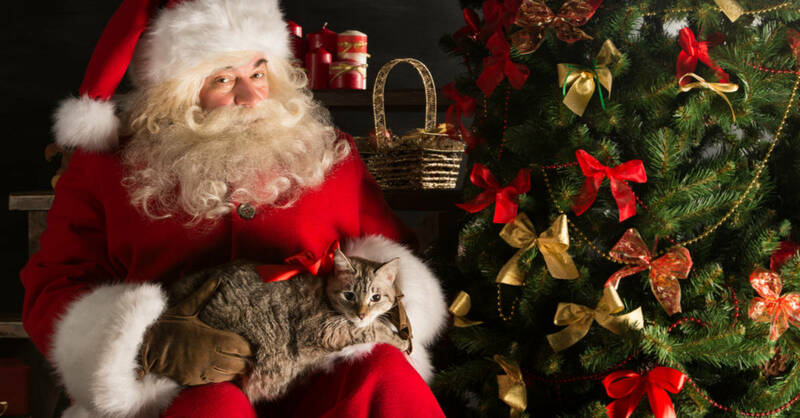 Check your local pet supplies stores for designated days to get an image of you and your pet with Santa Claus. 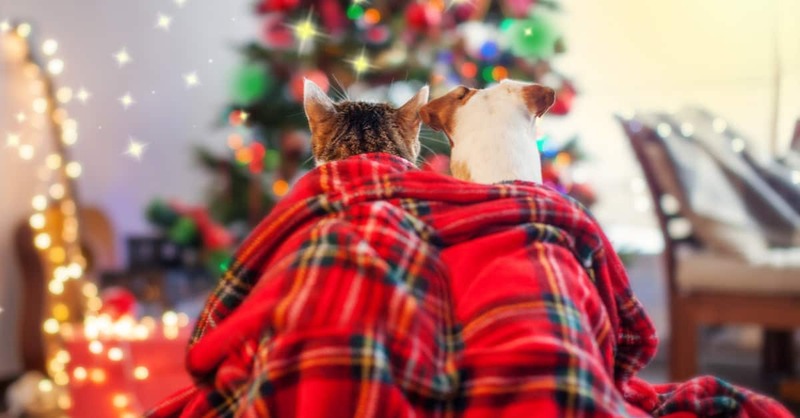 Snuggle up with your dog or cat and a blanket on the couch and binge watch some pet-friendly holiday movies like “A Dog Named Christmas” or “The Nine Lives of Christmas.” Check out this list of the Top 5 Christmas Movies to watch with your cat! 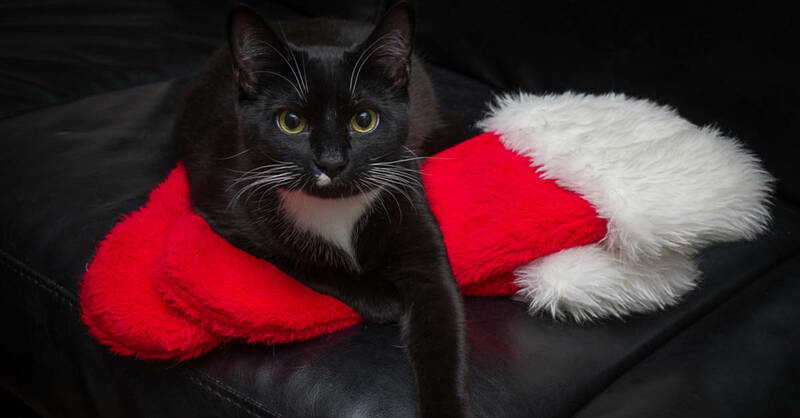 Since Mistletoe is toxic to pets and cats love catnip, have some fun and hang some catnip in your cat’s condo and/or in places around the house that are reachable for them. Create an ornament for your pet like a clay paw print with his/her name on it and hang it on the Christmas tree. Buy a Christmas stocking for your pet and write his/her name on it and hang it along the mantle or fireplace with the rest of the families’ stockings. When appropriate, include your dog in family outdoor activities like a holiday hike, hanging decorations or caroling around the neighborhood. 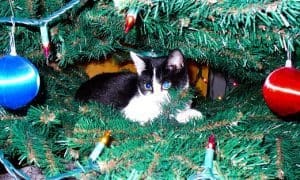 If you don’t have a furry friend to spend the holidays with, consider adopting a pet this season. There are thousands of pets who would love to share in these activities – it’ll be the best gift you’ve ever received, I promise!